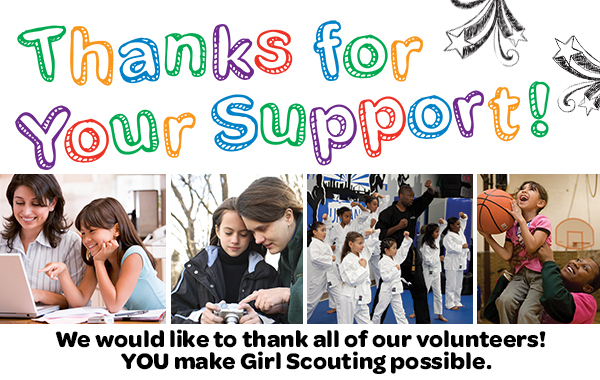 We'd like to thank all of our volunteers! They do an incredible job of helping girls gain the leadership experience that she needs to help her reach her goals. Want to help say thanks? Get a gift from the shop! We'll also be joining in a Twitter party #HatsOffToVolunteers! Be sure to join us! Again, thank you for your hard work and dedication.